Perhaps the most fervent of the Methodist sects, the Bible Christian Church was formed in southwestern England in 1815 and established in Upper Canada during the 1830s. Served by itinerant preachers, its small but loyal membership increased gradually, largely among British emigrants from Devon and Cornwall who had settled in rural areas in Northumberland, Durham and Huron Counties. In 1855 the Canadian mission, noted, as was the parent English body, for its emphasis upon lay-ministerial co-operation in church government, became an independent conference and by 1870 numerous chapels, including this structure, had been built. However, inability to gain support in emerging urban centres and mounting financial difficulties arrested the sect’s growth. In 1884 the Bible Christian Church entered into a union with other Methodist bodies. At the conference of 1821, held at Shebbear, the Bible Christian Missionary Society was formed. The receipts of the Society for the first year amounted to 92 19s. 7d. At the Conference of 1831, the deed of enrolment and a constitution was framed, so that the Denomination properly took rank as a religious body, legally secured with its chosen name and polity. The Denomination was from the first distinctively evangelical, distinctively Methodistic, distinctively liberal in church government, ministers and laity having equal rights in all church courts. It was from this conference at Hick’s Mill, Cornwall, Aug. 4th, 1831, that two missionaries were sent forth to open missions in North America. It required no little courage and faith for a small denomination of 6,650 members, whose annual income that year to the Missionary Society was only 104 4s., with a missionary debt of 66 burdening it, to send out two missionaries to America. But their confidence in God and the people was not misplaced. The response to the appeal for funds was liberal and hearty, so that the missionary income for the next year was 264 12s. 8d., enabling the committee to discharge their debt and pay their way. The missionaries sent were, John Glass to Canada West, and Francis Metherall to Prince Edward island. John Glass soon yielded to discouragement and left the work, so that the next year another was sent out. Francis Metherall, with his wife and children, embarked at Plymouth for Prince Edward Island, September 5th 1831, but after two weeks the ship sprang a leak and had to return to Plymouth for repairs. The next spring, April 23rd, Mr. Metherall and his family re-embarked, and after a voyage of two months landed at Bedeque. Prince Edward Island, June 26th, 1832. After some difficulty, he found a few friends at Union Road, at Winslow Road, and in the neighbourhood of Charlottetown, and commenced services in dwelling houses, or barns, or in the open air, as opportunity opened. Nine years of the most heroic and self-sacrificing service in the ministry in England had fitted Mr. Metherall for yet more arduous and self-denying labors abroad. His circuit soon became a very large one; his first year returns were forty-seven members. At the close of the year he returned sixty members, with thirty-six preaching places. The work so grew and extended that the following year an assistant, Philip James was sent to the island. John Hicks Eynon was appointed to Upper Canada by the Conference of 1832, and sailed from Liverpool, October the 7th. But the vessel encountered such a succession of storms, that it was finally driven back, and reached Cork Horbor November 28th. The missionary landed his boxes containing his library and possessions, and put them, as he supposed, in safe keeping, but the boxes were stolen, and the owner never saw them after. Mr. Eynon returned to England for the winter, and in the following March 18th married Elizabeth Dart. This marriage had a most important influence on the Canadian mission. Elizabeth Dart was the first of the fourteen female preachers sent out by the first Bible Christian Conference. She had labored with great zeal and success in the work in England, and was the instrument, in God?s hands, of the conversion of Mr. Eynon. With her Mr. Eynon had been in correspondence over five years, and would have married her before he first left England but for a misunderstanding. She was not at all surprised to see him return, for she had an impression that he would never reach America without her. With this excellent woman as his wife, Mr. Eynon sailed from Padstow, Cornwall, May 1st, 1833, in the brig Dalusia, and after a long and stormy voyage reached Quebec, July 17th. Mr. William Hockings, Miss Daniel and others who had settled in Quebec, urged Mr. Eynon to stay and open a mission there, where there was a good prospect and much need; but his appointment was to Upper Canada, and he pressed on to his destination, reaching Cobourg July the 6th. Here at Cobourg, the cradle of the Bible Christian in Canada, Mr. Eynon, the founder of the Denomination in this country, first preached in the open air, then in the jail, then in a dwelling house, and there organized the first society, consisting of four persons, all of whom were faithful to God and the Church until called to the kingdom and home of heaven. His work soon extended north , and west and east, until it took in a circuit of two hundred miles. His first quarter?s receipt was an English half crown. But God greatly blessed their labors, and at the close of the first year eighty-eight members were returned. Mrs. Eynon took work as regularly and successfully as her husband. Painful as it was, to persons who loved each other so truly and tenderly as they did, they often parted for many weeks in succession in the prosecution of their heroic and holy mission – Mrs. Eynon going from house to house, and township to township, preaching and sustaining the services, while Mr. Eynon went on farther to open new fields and explore the country, and find out the wants of the new and scattered settlements. The country over which they traveled, though now one of the richest, and most prosperous and populous sections of Canada, was then a vast forest, with small and scattered clearings, and log houses, and many discomforts and privations. Wolves have sometimes chased the settlers when returning from their meetings and narrowly escaped with their lives by reaching the shelter of their shanty and watching anxiously through the night. Yet through all the difficulties that met them, the missionaries faithfully pressed on to a successful and God-crowned end, their life being given in unhesitating and complete dedication to the service of God and the well-being of their fellow men. And no evil was permitted to befall them, no wild beasts to devour them, nor any plague to come nigh their dwelling. At Cobourg, Mr. Eynon erected a small church (opening it Sunday March 5th 1836) which was twice enlarged and then gave place to a better and larger brick church. At Precious Corners, the second church in the country was built and dedicated July third, 1836. The number of members in church fellowship had now increased to 181 and another missionary (John Edwards) was sent out in 1839. A division of labor was made, in some measure, the next year, but nothing like a circuit division until three years later, when Philip James and Robert Hurley arrived to increase the missionary supply. Then they outlined circuits, to which the missionaries were regularly appointed, though the circuits were larger than our districts today. In the fall of 1844, Thos. Green and J.B. Tapp arrived from England, increasing the number to seven, when the work was divided into four stations and one of their number appointed to open a fifth mission. The number of members had increased to 625, and the work was rapidly pushed forward in every direction. To us it seems strange that people should travel from Whitby, Darlington, Cavan and other distant places, to the quarterly love feast at Guideboard (Welcome), when the roads were so few and the difficulties of travel so many. But these seasons were to the scattered friends times of precious reunion and holy communion and power. God was with them in a wonderful way to convert, to sanctify, so that they returned from these services refreshed and inspired indeed. The preaching and services of these times, though for the most part held in log school-houses, and dwellings, and barns, were attended with great power, and many conversions – as many as twenty sometimes found peace at one service. In the midst of special services, conducted by the brethren Kemeys and Edwards, at the first church built in Hope, on their way to the service one evening a noise was heard at some distance in the woods, which was found to be a man crying to God in one direction and three women in another, whilst at the meeting that followed, the whole congregation were moved. In some instances the most unlikely places were opened for preaching, and the most unlikely people became friends and helpers of the missionaries. As in the case of John Edwards opening the mission in the townships back of Belleville. He obtained the bar-room of an Irish tavern-keeper by the roadside for his first service, and he and all his family became converted. The tavern was changed into a house of god, the family became active workers in the cause of religion and temperance, and a society of forty-six members was formed, all of whom became total abstainers. It would be pleasant to call up the names of some of the earliest members of the church in this country: the Jennings, Hoars, Courtices, Dobles, Harpers, Collings, Rundles, Elliots, Smales, Masons, Elfords, Vanstones, Clarks, and others; and to recount their sacrifices for the young cause, and their great kindness and devotion to the missionaries, would space permit, for out of their poverty they often gave all they had to help the work along, and put themselves to any personal inconvenience and sacrifice to entertain and supply the wants of the servants of God. For many years after the missions were opened, especially the back stations, money was exceedingly scarce. It was difficult for the farmers to get money for their produce, while the roads over which they had to take it were, in many instances, fearful, and in some cases, dangerous and impassable; so that it was not wonderful that the estimable wife of one of the leading members of one of the societies should tell a missionary that she had then on her feet the second pair of shoes she had ever worn since she was born; or, that one of the missionaries having no money, and nothing to trade with, became his own tailor, and when the front of his pants was worn out, ripped them carefully and turned sides with them, and wore them again as if they were new. A much more commendable thing to do than to dress in the finest broadcloth that has not been paid for, or desert the path of duty because difficulties beset the path. Though the salaries were small, and money scarce, and the journeys long, and the accommodation humble, and the exposures and privations great, yet these early preachers, full of apostolic faith and zeal, and burning love and self-consuming toil, labored on with a noble and heroic fidelity that won for them a high place in the admiration and gratitude of the church. In 1845 the era for the first church building may be said to have arrived. Bowmanville church opened on the first of January in that year, cost 200 pounds , toward which they contributed nearly 150 pounds before and at the opening. Several churches were built soon after in different parts of the work, so that they numbered fourteen at the close of that year, seventeen the next year, twenty-four two years later; and year by year they continued to add to the number rapidly for the next decade. These log and frame churches were some of them comfortable and commodious, other were humble and unpretending; but in them a pure gospel was preached with great plainess and power and God was wonderfully present to bless and save, – the membership continued to increase until it again tripled itself in ten years. In January, 1845 the first missionary meeting was held at Cobourg, addressed by the brethren Eynon, Hurley, James, Tapp and Green. One who was present says they spoke like seraphs, and the collection was 6 pounds. Other meetings soon followed with the most liberal and beneficial results. Missionary liberality and enthusiasm was a striking characteristic of the Denomination from this time on to the days of the union. In the year 1846, the number of missionaries was further increased by the arrival of the brethren Paul Robbins, William Hooper, and Henry Ebbott from England. Immediately after, two of the missionaries were sent to open up missions in the States of Ohio and Wisconsin, which they did with good and permanent results, but of that work we cannot write now, as this sketch is confined to Canada, The previous year Mr. Eynon had driven some six hundred miles in all in examining several parts of Western Canada and the religious needs of the newly settled sections. On the arrival of additional laborers, Philip James was sent to open new missions in what was known as the Huron Tract. He was very successful as a pioneer missionary in what is now one of the most prosperous and wealthy sections of Western Ontario. Missions were opened that in a few years became strong and self-supporting circuits. So rapidly did the work extend in every direction, that the greatest and most pressing want of the Denomination at this time was additional missionaries. As yet, Canada had scarcely begun to supply itinerant laborers and the chief hope was still to appeal to England for men. Mr. Eynon visited the English conference and pressed the claims upon the churches at home, but without much success. Instead of fourteen they needed fifty missionaries in the field at this time. As a result of the lack of suitable at this important juncture, many valuable parts of the province were lost to the Denomination. We blame no one. The home conference, at much self-sacrifice, did all it could with its limited means and numbers and men, and the growing demands of the work in other mission fields of the world, but the fact remains, that the lack of a sufficient number of good men at the time seriously limited the operations of the Denomination in Canada. In 1849 Cobourg ceased to draw finances from England. In 1850, Darlington also ceased to receive help. In 1852, the surplus in Cobourg, Darlington and Peterboro stations, with the missionary receipts, completely met the deficiencies on the other stations, so that from that date Canada ceased to receive financial aid from England, and became self-supporting. In 1852, the field in Canada was divided into three districts for the convenience and advantage of the work. In June, 1853, a general meeting of the preachers and representatives of these districts was held in Bowmanville; but this and the following general meeting, held in the same place the next year, did not claim the status and legislative functions of a conference. They met for mutual advice, encouragement and report, and to exchange work. But this arrangement led to a lengthy correspondence and some misunderstandings with England. England feared that Canada was seeking independence. To allay all irritation and remove all misunderstandings, and arrange with England, Paul Robbins was sent to the English Conference of 1854 as a deputation of Canada. Mr. Robbins was received with great respect, and treated with every personal courtesy and consideration, yet he felt his task was a difficult one, and that the brethren of England greatly misinterpreted the action and spirit of the brethren in Canada. It was finally agreed by this conference in England, to grant to Canada a separate conference, with a constitution identical with their own and full control over provincial affairs, the Canadian conference remaining in close and hearty affiliation with the parent conference, and remitting to them one-tenth of their missionary receipts, which remittance ceased ten years after by mutual agreement, when the Prince Edward island District was taken into the Canadian conference, and Canada assumed its financial responsibilities. The first Canadian conference duly and regularly constituted met at Columbus, June 7th, 1855. The number of preachers at this time was 21; churches 51; other preaching places, 104; members, 2,186; converted in the year, 246. The members of this conference were Paul Robins, J.H. Eynon, A. Morris, J.B. Tapp, T. Green, R. Hurley, W. Hooper, R. L. Tucker, J. Hodgson, preachers; J. King, J. Vanstone, W. Orr, John Dix, R. Allen, W. Robbins, representatives; John Pinch and Henry Stevens were received into full connexion. John Hooper, S.P. Robins, David Cantlon, and T.R. Hull, were received as candidates for the ministry at this time. The conference was a very profitable and harmonious one, and the denomination in Canada from this time entered upon a new era, and took a new departure. From henceforth they had to rely on themselves for financial support, ministerial supply, and the wisdom and experience that shall safely guide the Denomination in all its undertakings and extensions and developments. Fortunately, among the men who had been so successful as pioneer missionaries, and had so heroically passed through so many difficulties in the earlier stages of the work, were wise and judicious leaders and profitable preachers. Though they had often to make their study in the woods, and find a place for their devotions under the shadow of a great tree, and many a time had to rise from prayer swollen and almost blind from mosquito bites or a plague of black flies, and had to carry their few books, procured at a great sacrifice from small salaries, over long and exhausting journeys, yet they did read and study , and by close application and wise economy of time and untiring industry and self-improvement, keep abreast of their times and people. Some of these preachers were gifted to a remarkable degree. Their preaching was chiefly expository and textual. They divided and sub-divided, and sometimes their divisions were so many as to remind one of the apocalyptic vision, seven heads and ten horns. Yet, not withstanding this peculiarity of the preachers of forty and fifty years ago, their expositions of truth were clear, forcible and exhaustive. And for lucidness of exposition, clearness of insight, power of appeal, and mastery of an audience, they were among the best and ablest preachers Canada has ever known; while as painstaking, visiting, praying pastors, they are models to be devoutly copied to this day. Of that early band of preachers, John H. Eynon will ever be remembered as the father and founder of the Denomination in Canada, Mrs. Eynon as one of its best missionaries, and Paul Robins as its wisest and most gifted leader. To the genius and prudence and consecration and ability of Paul Robins the Denomination owes much. He was the chief counsellor up to 1865. 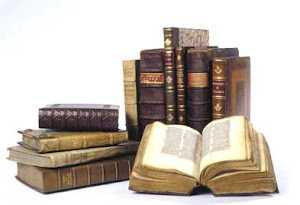 Under his guidance the Book Room, with a very humble beginning, was commenced in Bowmanville in 1851and during the years that he was its manager, it was safely, wisely and profitably conducted. It may be said that under Mr. Robins’ pilotage the Denomination kept free of debt, made sure and steady advancement, inaugurated many good and necessary measures, and rarely ever undertook one imprudent or regrettable step. In 1865 Prince Edward Island District was united to Canada. Up to this time the island work had been under the control and direction of the English Conference. Francis Metherall and his co-laborers had worked on the island with good success, everything considered. Their most prosperous year was 1843-4, in which they reported an increase of 351 members after a most extensive and remarkable revival. From that date their work extended into the south eastern portion of the island, so that they occupied a field of nearly 140 miles long, from the western extremity to Three Rivers and Murray Harbour. Over this extensive field they traveled by the blazed path through the woods, or by the aid of logs and fallen trees over the swamps, or by following the shore when the tide was out, crossing the rivers at the head of the tide-waters, or fording the channels as best they could, sometimes hungry and weary and well-nigh exhausted, with nothing but potatoes for their scanty meal. Yet these holy and heroic men remained steadfast in their work, inspired with a passion for the salvation of men and the glory of God. And ever foremost in devotion, or endurance, or duty or self-sacrifice, was Mr. Metherall, the father and leader of the pioneer band. From England worthy helpers were sent to the island, among whom were the brethren Calloway, Harris, and Gale; but two of Mr. Metherall’s most valuable assistants in the work were the fruit of his own missionary labours on the island, John W. Butcher and Jesse Whitlock, who were most successful and honored in their work, and rendered a great blessing to hundreds of people. On Mr. Metherall’s strong constitution the hard work and exposure of missionary life began at last to tell so seriously that he was compelled to urge on the English authorities the appointment of a successor to take charge of the superintendence of the missions on the island. In 1856 Cephas Barker was sent from England to take charge of the island stations, and Mr. Metherall, after twenty-five years of laborious missionary service, was at last relieved of all responsibility, and soon after was permitted to enjoy a well-earned rest from pastoral labour, till in green old age he was translated to the kingdom and rest of heaven. Mr. Barker did an excellent work on the island during his nine years residence. A good church was built in Charlottetown, and different places through his exertions. A very gracious revival was realized in 1850, in which some remarkable conversions occurred and some wonderful illustrations of the saving power of God and the transforming influence of the Gospel were seen. When the island stations were attached to Canada in 1865 and became one of the districts of the Canadian Conference, Cephas Barker was transferred to Ontario, and John Chapple was sent to Prince Edward Island. In 1870 Mr. Chapple was relieved and George Webber was stationed in Charlottetown, and appointed superintendent of the island. During the five years of Mr. Webber?s superintendence the island enjoyed great prosperity. Several new churches and parsonages were built, and for the first time in the history of the island churches were opened free of debt, others were renovated, some burdensome debts were paid off, gracious revivals followed, and there was a considerable addition to the membership. The strong and prosperous district left by Mr. Webber in 1875, remained in about the same state under his excellent successors, W. S. Pascoe and John Harris, until it united with the New Brunswick and Prince Edward Island Conference at the Union of 1884. In 1865 when Prince Edward Island became an integral part of the Canadian work the number of churches was 132, ministers, 54; members, 5000; missionary income slightly over $4000; showing that in all its vital statistics the Denomination had more than doubled in ten years since its first Conference. Perfect accord with England was now enjoyed, and as a result Canada received, within a few years, several excellent ministers from the home Conference, much to her advantage every way. From this date on, an active liberal effort to erect larger and more commodious and expensive churches was energetically made. The noble church built at Bowmanville in 1858 gave inspiration and help to others for many years, notably the large and expensive church built in Toronto in 1874. Many splendid churches were built in different parts of the Denomination in the later years of its independent existence – an abiding tribute to the liberality of the people, the zeal and self-sacrifice of the ministry, and the healthy spiritual and financial condition of the body. At the time of the union there were 181 churches and 55 parsonages, valued at $400,000, on which the total debt was about $50 000, or one-eighth of the value. The statistical and numerical increase did not always show the same upward tendency. Eighty ministers, 7,400 members and about 30,000 at the time of union was a strong proof of the growth and power of the Denomination. The most notable departure of the Denomination in the latter epoch of its history was the publication of the Observer, as a connexional weekly paper in 1866, and in the subsequent purchase of printing plant and presses and an establishment, and the setting up of a denominational publishing house under the management of Cephas Barker. The publication of a weekly paper by the church was wise and necessary every way, and the editorial management of the Observer and the Sabbath-school papers was able and excellent from first to last. Mr. Barker, as an editor for fourteen years, and Mr. H. J. Nott for three years were both an unqualified success as editors. Their leading articles were written with great care and showed marked talent and culture. They wrote largely for the paper, and always well. The tone of the paper was good and elevated, and Christian; broad in its catholicity, pure in its morality, free in its criticism, bold in its stand for the right, resolute against meanness and wrong, unswerving in its advocacy of sound evangelical doctrines, and unfaltering in its devotion to duty. In the editors, drunkenness, gambling, fraud, hypocrisy, and all manner of evil, found unsparing foes; and temperance, benevolence, charity, integrity, honour, nobleness, and every form of practical goodness, found steadfast friends. I have never known a paper with a loftier moral tone or more worthy of uniform commendation, and it unquestionably was made a great blessing in its day. But the Denomination became involved in considerable financial straits, and the debt in 1880 had grown to $55,000. In the connexional year 1880-81 the Denomination so liberally responded to an appeal made, that $30,000 were subscribed and paid in a few months; whilst the annual income of the Missionary Society and other funds so increased from year to year that a very perceptible decrease of the remaining debt was made by the surplus income over expenditure, so that it may be correctly said, that at the time of union the Denomination stood well, with a most hopeful outlook. It had been involved heavily by departing from its earlier traditions but it had made a supreme , a self-sacrificing effort to discharge its liabilities with marked success and blessing. The eighteen brethren who enjoyed the special distinction of being chosen President of the Conference and of the Connexion from the first to the thirtieth Conference were Paul Robins, J. B. Tapp, R. Hurley, T. Green, John Chapple, W. Hooper. Joseph Hoidge, Cephas Barker, W. S. Pascoe, David Cantlon, Jesse Whitlock, William and John Kenner, Edward Roberts, George Webber, William Jolliffe, J. J. Rice, and Archibald Clarke. Some of these brethren were chosen to this honour twice, and even thrice. Whilst this list does not by any means include all the specially gifted and leading ministers of the Denomination in Canada, it does include some of the most able and talented leaders of the Bible Christian Church during the fifty years of its distinctive existence. If space would permit it would be a pleasant task to give a brief sketch of the life and leading characteristics of each one, with other worthy names that would be added, but the assigned limit of space forbids this inviting and most tempting pleasure. Among that list were men very differently gifted. All that did not possess the same class of talent. All did not render the same order of service. But all did render distinguished service in their own way, and won the gratitude and confidence of the Denomination. Some of the brethren were preachers and platform orators of the first order. Some were specially gifted as business men, and managers of men, and financial leaders in a marked degree. Some were pastors and teachers of the highest rank, whilst others, by prayer and life, had wonderful power with god and men. Just as the Denomination was approaching its jubilee with thankfulness and hope and planning wider fields of labour and a general forward movement, it was invited to consider the question of the union of the Methodist Churches in Canada. When the Conference of 1881 appointed Rev. H. J. Nott and Charles Hobbs, Esq., as its representatives to the Ecumenical Council of Methodism in London, no one dreamed of the speedy, practical results of that remarkable assembly on Canadian Methodism. But at a Conference of 1882 the Denomination was requested to consider the possibility of a union of all the branches of Methodism in Canada. A distinguished representative of the English Conference (Rev. F. W. Bourne) attended this conference at Port Hope, and lent the aid of his great name and influence to the furthering of the union. After a free discussion of the question, a representative committee was appointed to meet similar committees, from the other Methodist churches. The committee were W. S. Pascoe, J. Kenner, G. Webber, E. Roberts, J. J. Rice, H. J. Nott, ministers; T. Courtice, J. Hull, J. Clark, J. Pickard, W. Windatt,, laymen. The committee met the brethren of the other Methodist churches in joint committee in Carlton St. Church, Toronto, the following November. A basis of union was agreed upon. This basis as directed by the preceding Conference, was submitted by the Connexional executive to the members of the church for adoption or rejection. More than a two-thirds majority of the members voting heartily endorsed the basis of union. Consequently the Exeter Conference of 1883, after a long and exceedingly able debate, ratified the union upon the proposed basis by fifty-four yeas to sixteen nays and twelve neutrals. A memorial was respectfully forwarded to the English Conference asking their approval of the union. At first some misunderstanding arose, but it was soon explained and removed, and the parent Conference gave its hearty approval and Godspeed to the Canadian Union. That union, consummated by the representatives of the four contracting denominations, at a General conference held in Belleville in September, 1883, went into legal effect the following June, so that the Conference which met at Bowmanville in 1884 fittingly and honourably closed the Denomination?s independent existence in Canada, when after fifty years of useful and successful labour, it merged into the Methodist Church. In reviewing the history of the Bible Christian Church in Canada, it is very manifest that the church did not exist in vain, or labour for naught, but fulfilled a high and lively mission in this country. Called to enter upon the mission work of British North America by a few godly members who had emigrated from the west of England, and the urgent need of evangelistic labour in every part of the newly settled country, the Denomination responded promptly and heartily. Its missionaries, for the most part, were wisely chosen and laboured with a zeal and self-sacrifice and economy, a studied regard for the rights of others, and a direct seeking of the salvation of souls, so characteristic of the parent body in England. Only one of the pioneer missionaries survives, and scarce any of the early members of the church remain to this day. One by one they have gone over and home, many of them closing a good profession with a triumphant death. Thousands on thousands are now in heaven through the labours of this people, while thousands still remain on the earth to enrich and bless the church and the world. Therefore it may be truly said, the gifts, the toils, and tears and sacrifices, and services of the past have been nobly repaid in God?s own beautiful and faithful way.